When it comes to older homes, a lot of the problem a homeowner runs into is that there’s no neutral wire. That can make it harder for them to get and install a proper system for home security. Most of these systems need that neutral wire to operate correctly, and that’s true with a lot of automation systems, as well. These both need the right types of wiring, or they won’t always read correctly or operate the way a homeowner wants them to — but there’s hope. 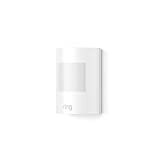 There are ways to work around the neutral wire issue, and that can make it easier for any homeowner to have the motion sensors and other devices they really want. The biggest thing with motion sensors is they have to be calibrated, and they have to have a steady feed of power. If that gets interrupted they can miss things — and if they miss things than a homeowner can, as well. Naturally that’s something that needs to be avoided, and it’s not a good idea for a motion sensor to be left unworking. It’s there for a reason, so it needs to function the way it should and do its intended job. If that’s not the case, the sensor won’t provide a good value to the homeowner and there’s no real point in having it. It’s much better to get around the issue or address it so the motion sensor works properly. Why Is a Neutral Wire Needed? Neutral wires are designed to provide more safety and security in a home’s wiring system. They reduce the chance of shocks and electrocution, and they also reduce the possibilities of fires. But that doesn’t mean that houses without a neutral wire are dangerous — they are just older, and they don’t have the same level of wiring technology that was available on newer homes. A neutral wire can be added, but it’s expensive to rewire a home. That’s why a lot of homeowners avoid having anything that requires a neutral wire, or they buy plugs that allow for a three-prong corded device to be plugged into a two-prong outlet. That doesn’t solve the problem of not having a neutral wire, but it lets a homeowner use the device they want to use. What Do Motion Sensors Do? With a home security system, motion sensors are a big part of the package. They’re designed to do just what their name implies. They detect motion, and when they do they let the homeowner know. Whether that’s through sounding an alarm, turning on a light, or something else, it’s important for any homeowner to know if there’s motion in or around their house that’s not supposed to be there. These sensors need to work properly, and if there’s no neutral wire not all of them can be used. Fortunately, there are options on the market today that don’t require a neutral wire at all. 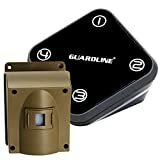 If a homeowner can get all of those things from a security company, and they can also get a motion sensor that doesn’t require a neutral wire, then they can get their home secured and automated the way they want to.